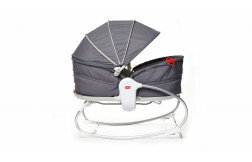 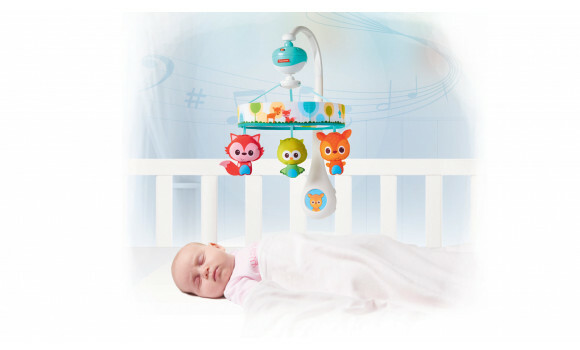 Let baby enjoy the soothing motion and soft design while lying in her crib and listening to the continuous music. 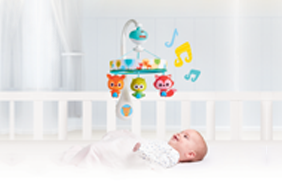 Play the mobile's melodies at bedtime to help baby find her way of falling asleep without your help. 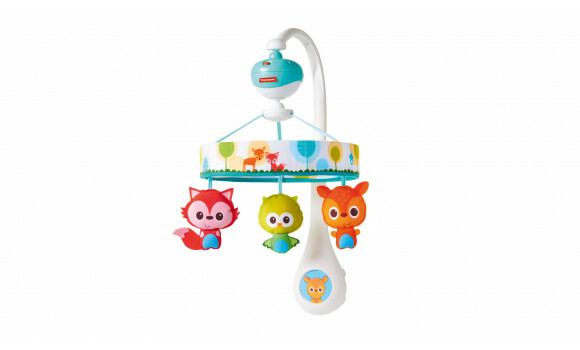 Enjoy hearing baby coo and babble as she looks at the cute animal figures overhead while you get a bit of me time. 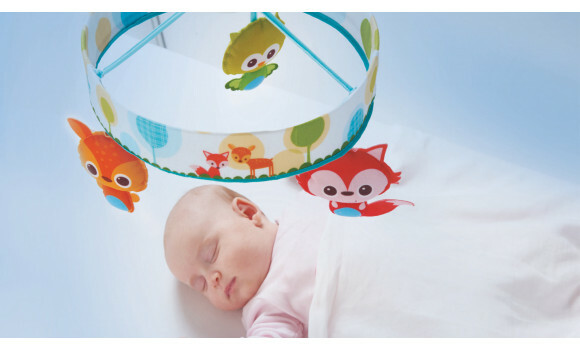 Use as part of your bedtime routine to soothe baby and help her realize it is time to sleep. 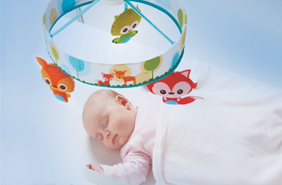 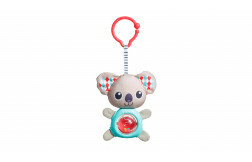 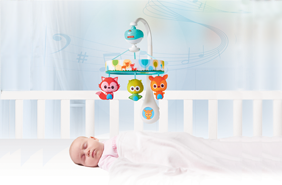 Place baby in the crib and let him enjoy the 30 minutes of continuous music while watching the rotating soft animals. 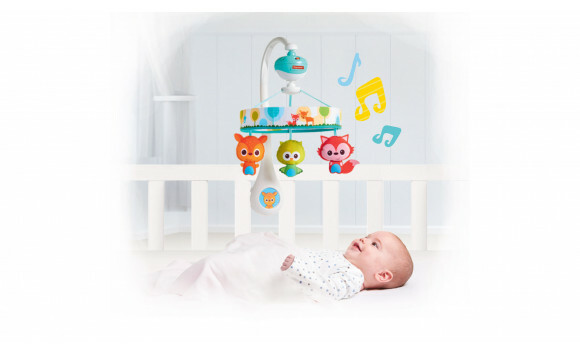 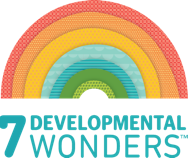 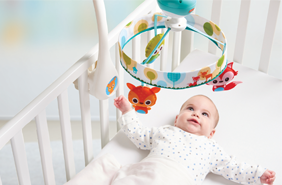 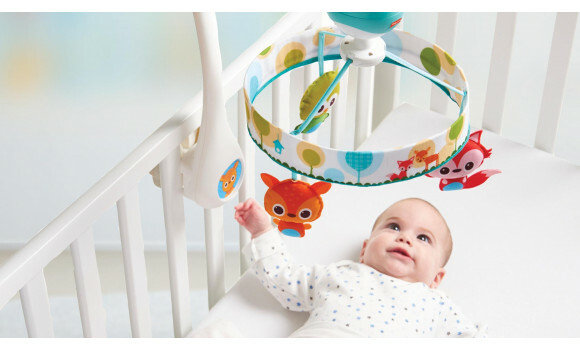 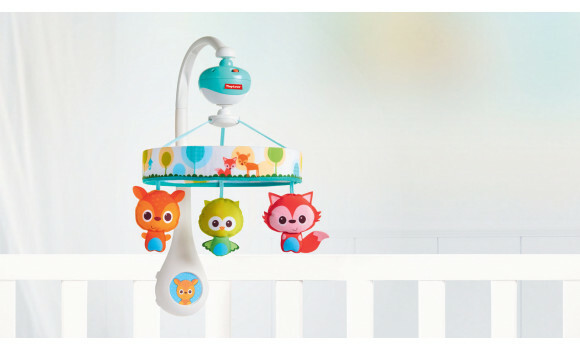 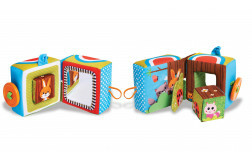 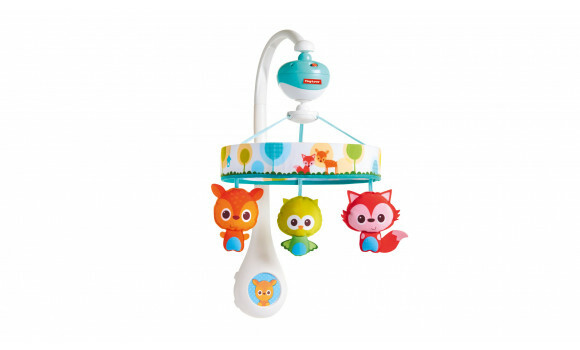 The smiling characters’ large eyes and the mobile’s slow motion along with the diverse musical selection stimulate baby’s sense of sight and sound while playing in their crib.